I had planned a post on ghosts because I'm seeing so many cute ghost projects out there. But then my co-worker told me next year is the Year of the BAT!!! Weeeeee, I LOVE bats. When I visit the zoo I could spend hours watching them. My man has to pull me away. Oh, you mean there's other animals at the zoo? After finding this out you just know I'm having a Year of the Bat party next year. And seeing how Halloween is fast approaching and bats are so very Halloweeny...here's to BATS!! 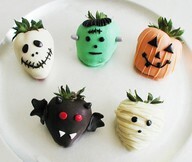 The chocolate covered bat strawberry will be served of course. This bat wreath from ItzFitz is perfect for the front door. 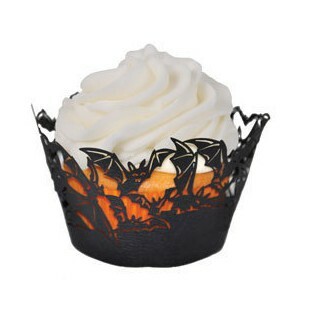 I need to find these cupcake holders. Perfect! 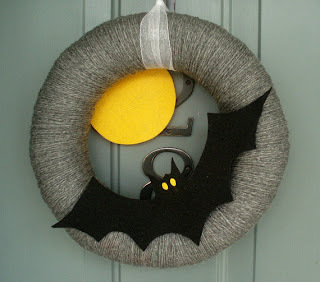 Here's to Hallowen and 2012, The Year of the Bat. TheMistressT, I do believe we need to discuss co-hosting a Year of the Bat party. 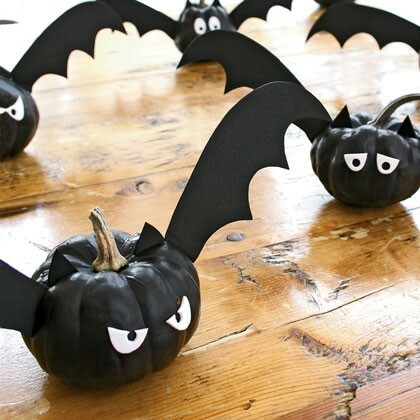 Or at least you loaning me your bat goods :) for the party. You are more than welcome to borrow my bats and bat parts and accessories.